A miniature french horn made in brass . 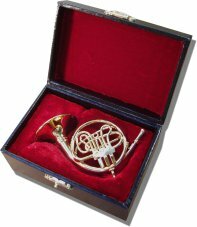 This miniature french horn is made in brass and comes complete with its own velvet lined storage case & stand. 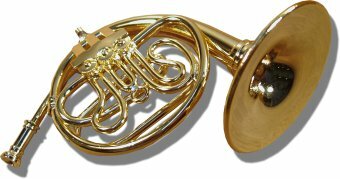 A wonderful gift for the french horn player or classical music lover.